Playing off nine handicap, Ronan returned a superb level par round (36 gross stableford) on the O'Meara Course to win the title by four points from Sean Downes of Beaverstown. Clandeboye's Scott Miller nervelessly sank a 10-foot birdie putt at the last to fire a four over 76 and win Quinta do Lago Golf School sponsored Under 13 Open Championship at Corrstown. 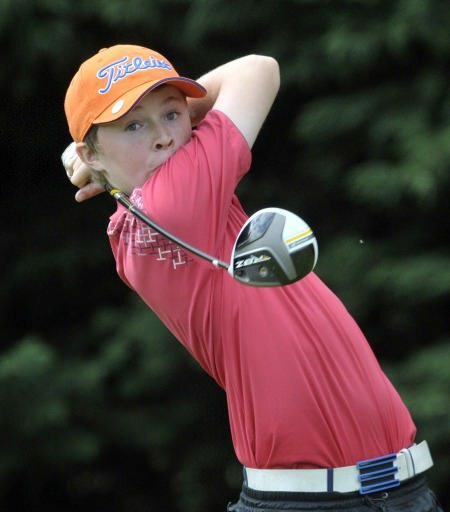 Lisa and Leona Maguire might be standout golfers for Duke University but there's yet another talent in the family in their 13 year old younger brother Odhrán.